This 5 day camp was created specifically for young girls ages 5-12. It focuses on inspiring girls to find their inner self worth through Mindfulness, art/craft, journaling, creating, sharing and friendship. We teach techniques and strategies designed to help girls identify and regulate emotions all while having a fun summer camp experience. 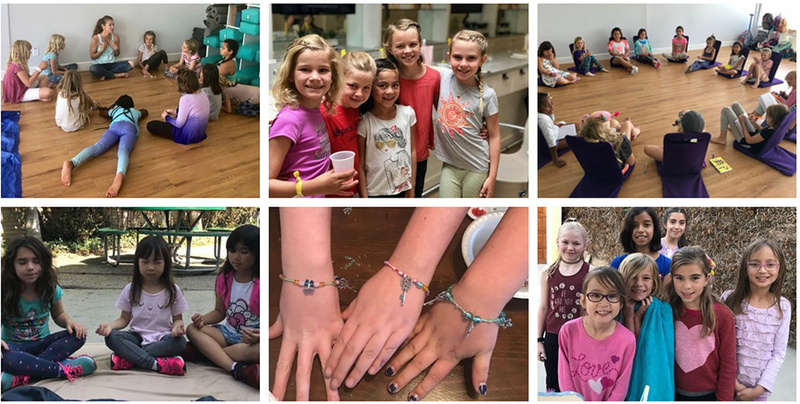 Activities include group games, yoga and mindfulness, make your own jewelry, inspirational art, craft projects from the heart, essential oils & meditation along with amazing outings and field trips! Field trips, outings and themes in the past and may include again this year: Dry Bar Salon Party, Spa Day, Farmer’s Market and Private Chef Cooking Lessons, Pool or Slip n Slide WaterPlay Day, Nature Hikes, Park & Playground time, and as always we have some surprises this year! This one of a kind camp was sold out last summer! After registration is complete, please send an email to lamindfulkids@gmail.com with the session date, name of your child, gender, age and if they have any allergies. We will send a camp waiver and additional info the week before camp begins.